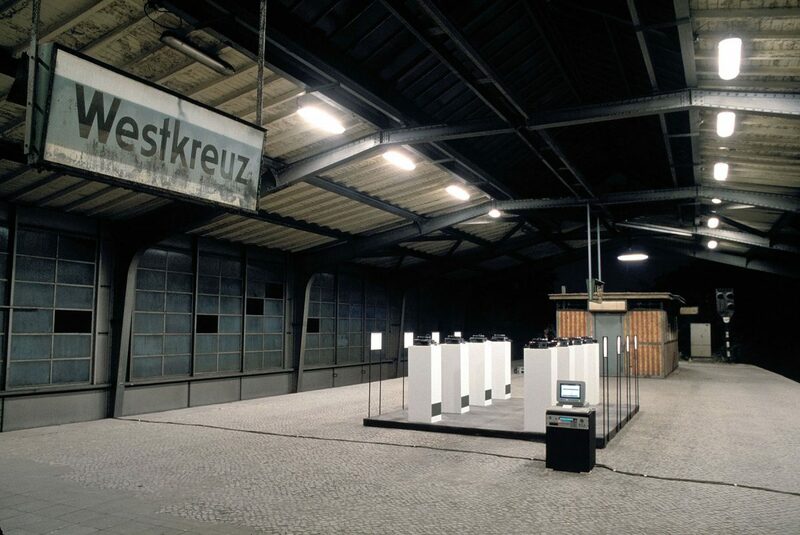 This installation was created as a part of the European Cultural Capital 1988 program in Berlin to happen on the abundannt railway station Westkreuz. 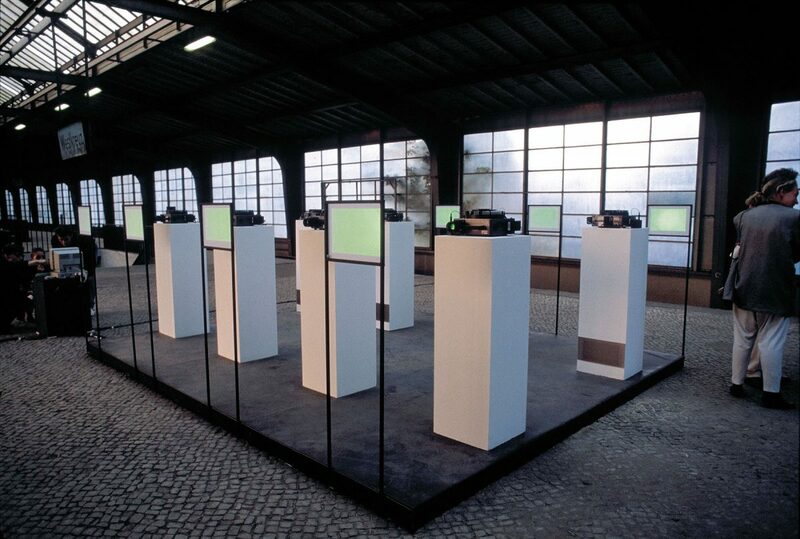 8 projectors were placed on 8 pedestals projecting 8 similar slides with abstract images onto 8 semi-transparent screens. 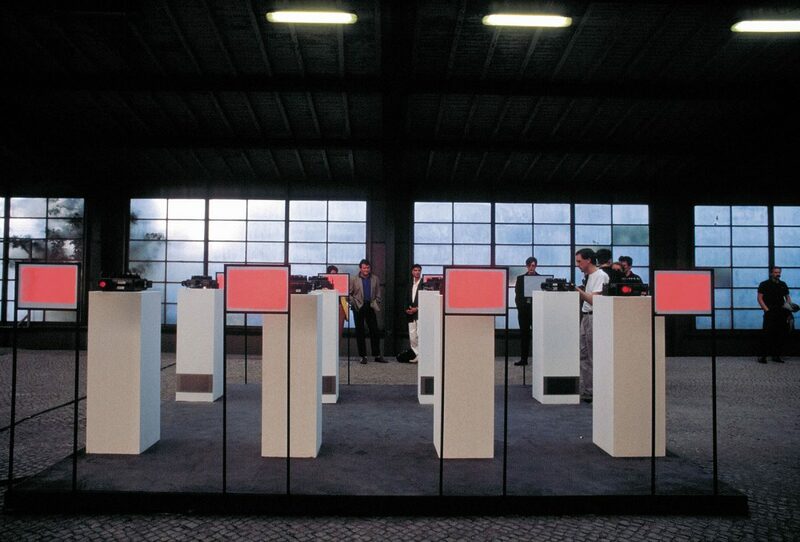 The sound of the changes of the slides was amplified through loudspeakers in each of the pedestals. The projectors were steered by the means of a computer in such a way that the changes happened rhythmically. Between 2 slide changes big sounds travelled through the station through 8 large speakers in the same rhythm that was just heard before when the slides had changed.